For Erika Thompson, real estate is all about creating experiences as distinct as the clients she advises. As a former educator, she’s well aware that people think and learn in different ways, which is why she strives to model her own approach after a client’s unique personality and vision. Her goal? To be a trusted advocate for her clients as she patiently and expertly guides them through the search and sell process. Erika’s service-driven business model has empowered her to cultivate an impressive referral network comprised of both repeat and new clients, although she partners with people at all price points and in all stages of life. As a lifelong resident of Montgomery County, Erika offers unrivaled insight into the neighborhood she calls home, but she is well-versed in the nuances of each of greater DC’s hubs—from Capitol Hill to Alexandria. 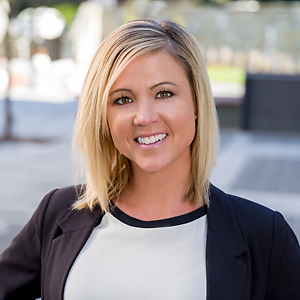 Erika’s venture into the real estate world began at an investment company, where she cultivated the vast market expertise that she puts to work for her clients today. With her detail-driven nature and desire to make clients feel comfortable throughout the entire process, there’s no doubt that Erika is the agent you want by your side at every step of your next real estate adventure. In her spare time, Erika loves showing off her DC pride—from cheering on the Redskins to the Caps—and spending time with her family and friends.